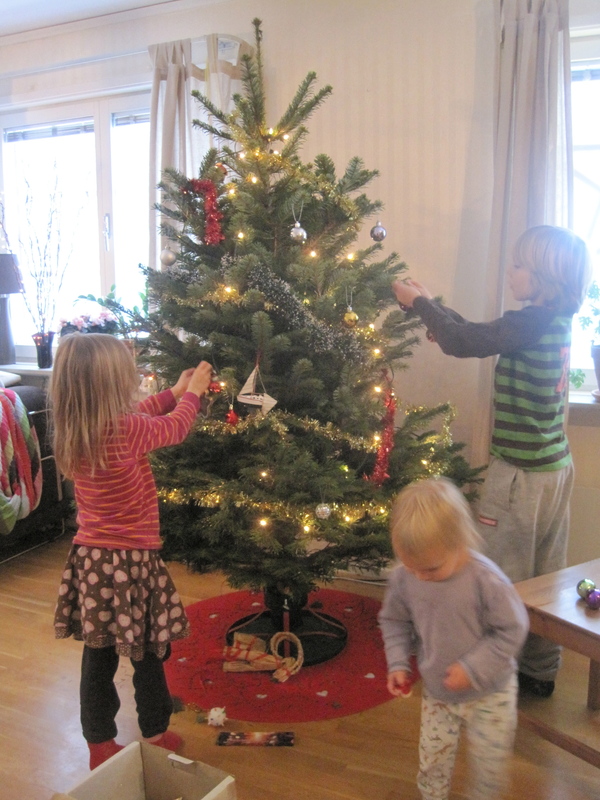 The kids all loved decorating the Christmas tree this year. 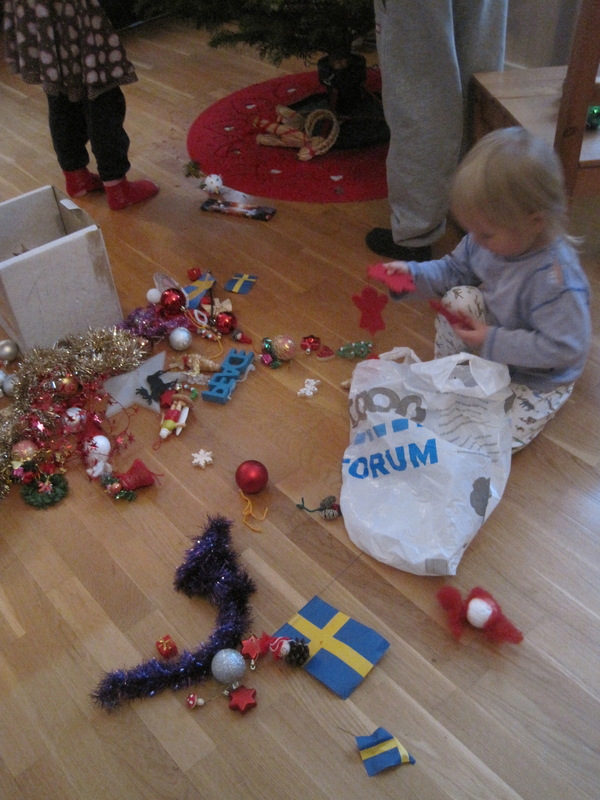 When we bought it, Alfie was most upset that “they didn’t give us any decorations on it mummy!” – so he, in particular, took great joy in sorting through the decorations, having realised we have to decorate it ourselves! 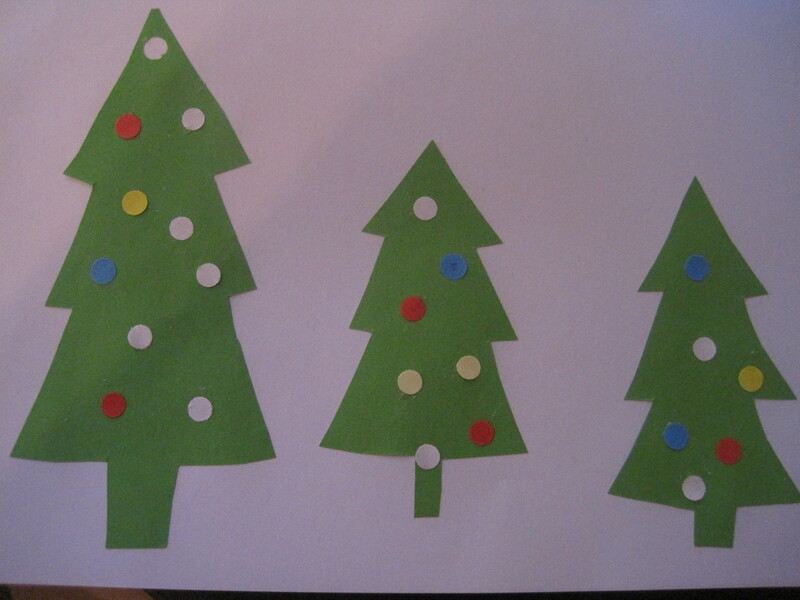 Leon, who can be quite the designer at times, decided one side of the tree should be rainbow coloured, and the other side silver! 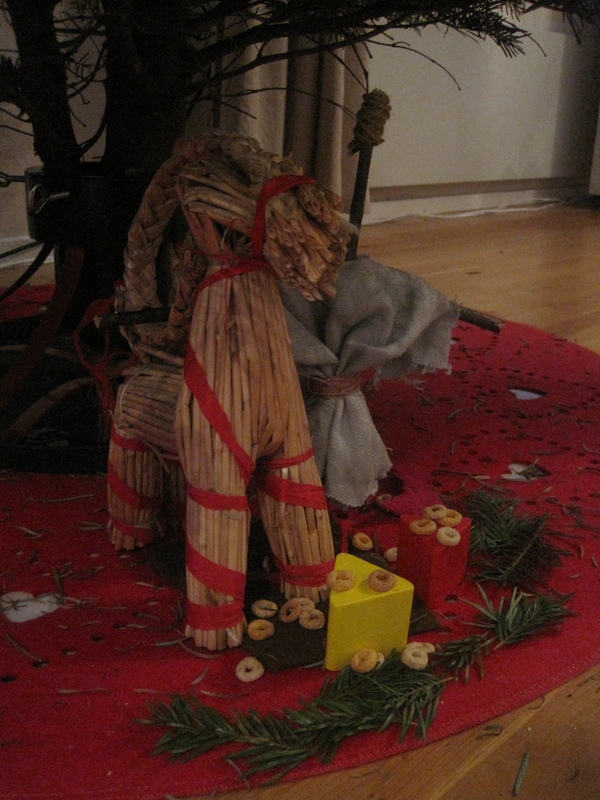 And Maya decided to design her own little scene under the tree, using her ‘viking doll’, a Swedish bock (goat), some pine branches, bricks and cheerios. 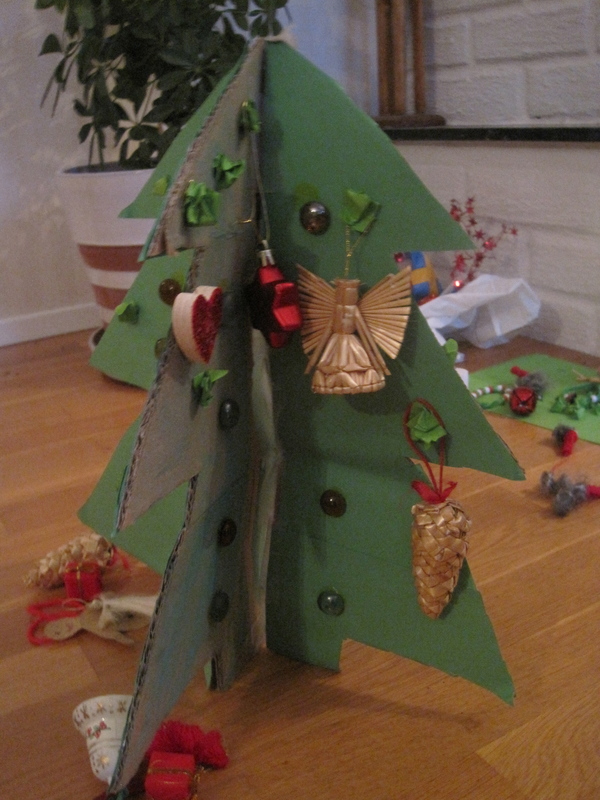 I’m not quite sure who it was for, or what it means, but it’s very sweet! 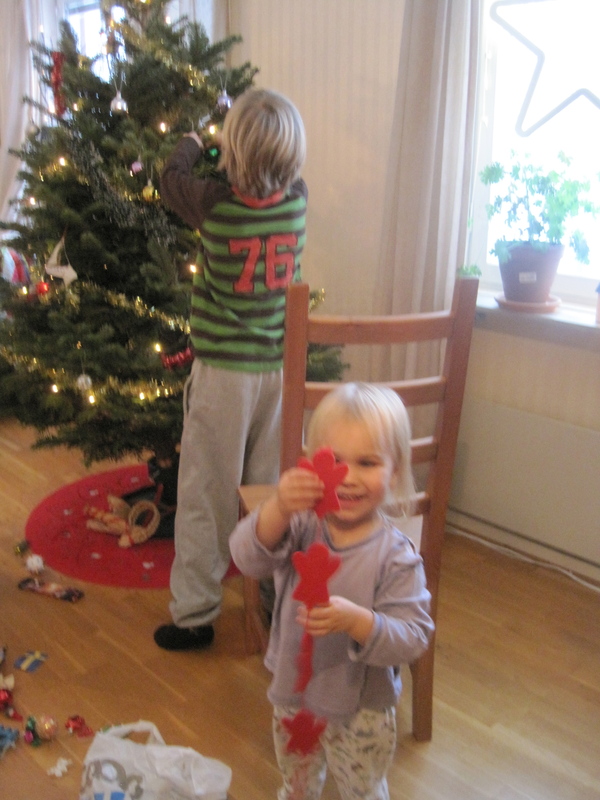 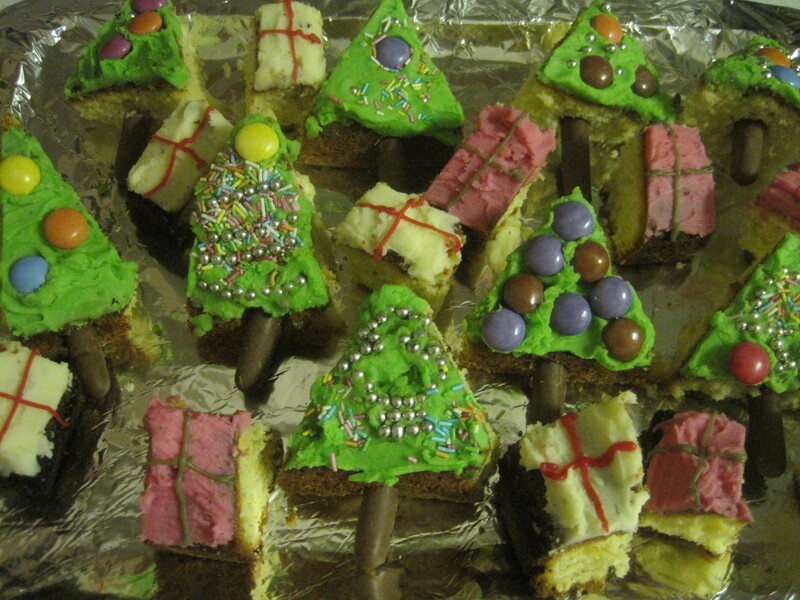 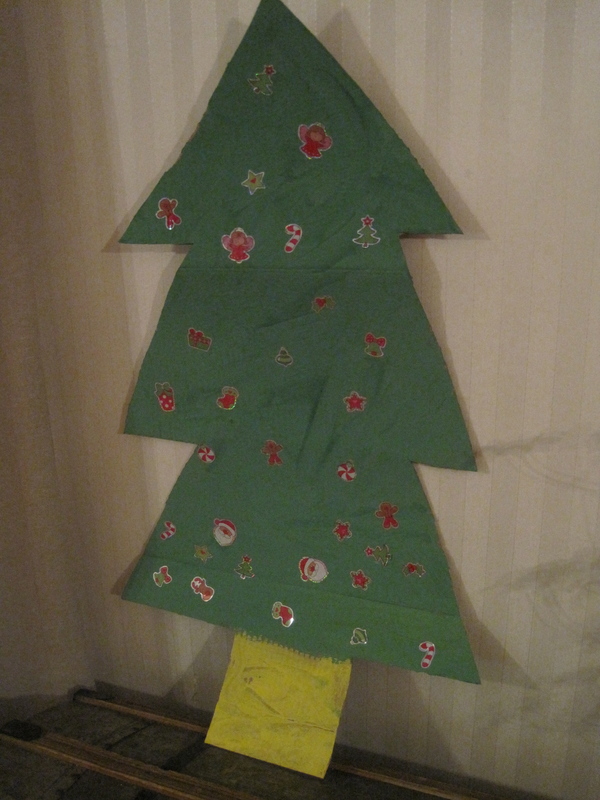 Firstly, a giant cardboard tree, painted, and decorated with Christmas stickers….